The F01 is a multi-purpose face brush from our Dimensions Series. Handmade from extra soft, high quality anti-bacterial, easy to clean synthetic fibres, this brush is also vegan friendly. 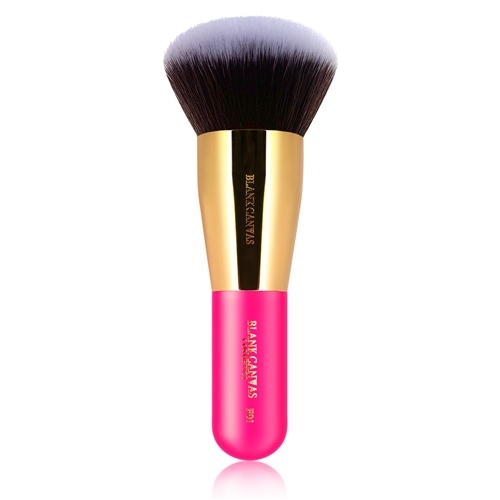 This short handled brush is made from high quality fibres, a sleek gold ferrule and hot pink handle. The F01's multi-purpose design makes it the perfect tool for buffing foundation or blush to the face and blending out seamlessly using the stippling technique. This brush can be used with cream, liquid and powder products.